Operation Magic Carpet brought Allied fighting men and women home from the battlefields of Europe and Asia. When World War II in Europe came to an end, General Dwight D. Eisenhower, Supreme Commander Allied Expeditionary Force, published a victory message to the troops. With eloquent brevity, he noted the accomplishments of the troops under his command and offered advice for the future and the return for the majority of the men and women in uniform to civilian life. Eisenhower wrote, “The route you have traveled through hundreds of miles is marked by the graves of former comrades. Each of the fallen died as a member of the team to which you belong, bound together by a common love of liberty and a refusal to submit to enslavement. Our common problems of the immediate and distant future can be best solved in the same conceptions of cooperation and devotion to the cause of human freedom as have made this Expeditionary Force such a mighty engine of righteous destruction. While World War II had yet to end in the Pacific—Japan would fight on until the end of August—many American soldiers read the commander’s stirring words on the decks of ships that were taking them home. More than 16 million Americans were in the military, and half that number had been deployed overseas. Within weeks of the surrender of Nazi Germany an impressive sealift was underway. Operation Magic Carpet, the code name given to the massive effort to bring Allied fighting men and women home from battlefields around the world, began in June 1945. However, by V-E Day it had been in the making for some time. Under the auspices of the War Shipping Administration, the program had been in development since 1943 as planners grasped the enormity of the task that would confront them once victory was won. From an American standpoint, Operation Magic Carpet eventually involved approximately 370 ships of all kinds, from aircraft carriers to battleships, destroyers, attack transports, and even passenger ships. The British liners Queen Elizabeth and Queen Mary, painted in wartime drab gray camouflage, were packed with returning service personnel on more than one trans-Atlantic voyage. Warships were converted to temporary troop transports with bunks stacked up to five tiers high on aircraft carrier hangar decks to accommodate the returning soldiers. In September 1945, the Pacific phase of Operation Magic Carpet began with the U.S. Navy’s Task Force 11 under the command of Admiral Forrest Sherman sailing from Tokyo Bay. The battleships Mississippi, New Mexico, North Carolina, and Idaho, along with two aircraft carriers and a destroyer squadron, made a stop at Okinawa and took on troops of the U.S. Tenth Army for the voyage across the Pacific. 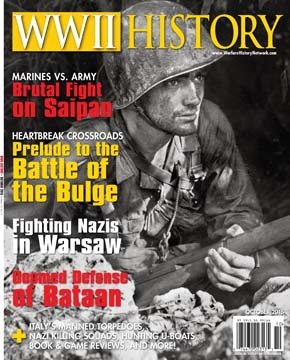 At its peak in December 1945, almost 700,000 Allied military personnel were embarked for their return home. 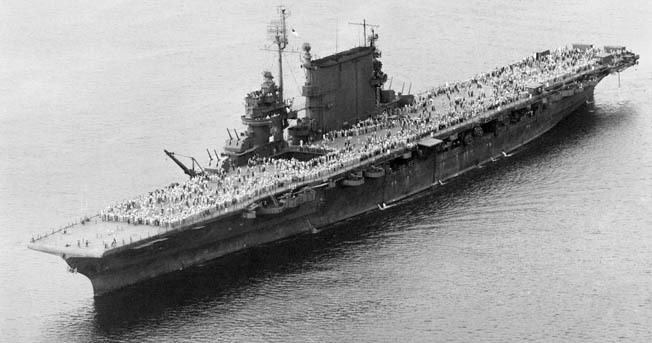 An average of 435,000 troops per month were transported during the 14-month duration of Operation Magic Carpet, and the aircraft carrier Saratoga set a record with 29,204 repatriated, more than any other single ship involved in the effort. The British aircraft carrier HMS Glory made three Magic Carpet voyages, the longest of these from the city of Manila in the Philippines to Vancouver, British Columbia, Canada. At the same time, former German and Italian prisoners of war were repatriated to war-ravaged Europe. Approximately half a million were returned home from POW camps in North America. Tags Allied Expeditionary Force, Dwight D. Eisenhower, Operation Magic Carpet, Philippines, V-E Day. 27th and the headed to San Fran with a ship full GIs. We made three round trips to Pearl Harbor and back with a ship full of G.I.s I was transfered to the US Bronx where then headed to China to pick up more people. After that I got out of service. We saw a lot of people with interesting stories. Is there a list of Pacific fleet ships that were assigned to Operation Magic Carpet. I am trying to determine if USS Belleauwood was assigned, and if so, was she in or around Tokyo Bay on September 2, 1945?